The following bus safety tips were shared by Placerville CHP. When do I stop for a school bus? There have been many questions about this and a lot of attention on the subject lately. 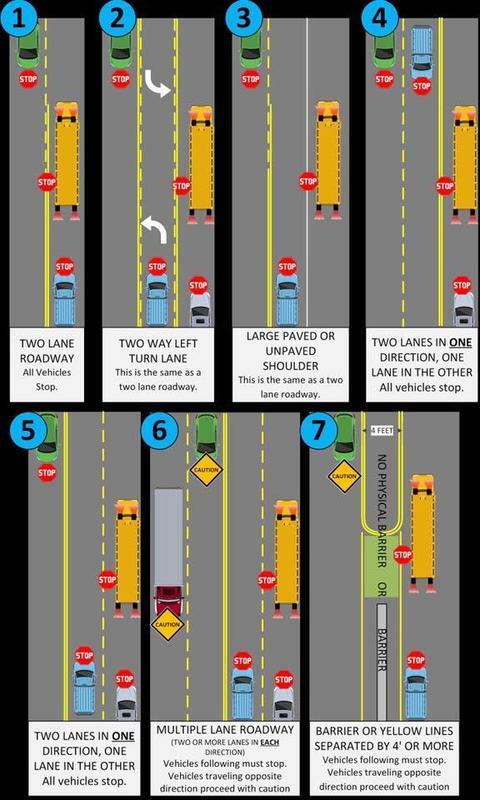 So our school bus officer, Officer Dave Frizzell, made this great graphic to explain when stopping is required by law. Please remember, even if in a situation where you may not be required by law to stop, you should still slow down and proceed with caution. Children can be unpredictable at times and it is better to be safe than sorry.